LB319, sponsored by Columbus Sen. Mike Moser, would repeal a requirement that the department send county, city and village clerks notice of hearings regarding floodplain management rules and regulations via mail. Moser said the change would save the state approximately $900 each year. “Email would be less expensive and at least as reliable as the U.S. mail,” he said. The bill also would make two changes to department rulemaking requirements. The department currently is required to adopt and promulgate rules and regulations regarding the allocation and expenditure of money from the Water Resources Trust Fund, which holds state and federal funds used to pay for the management and protection of the state’s groundwater. 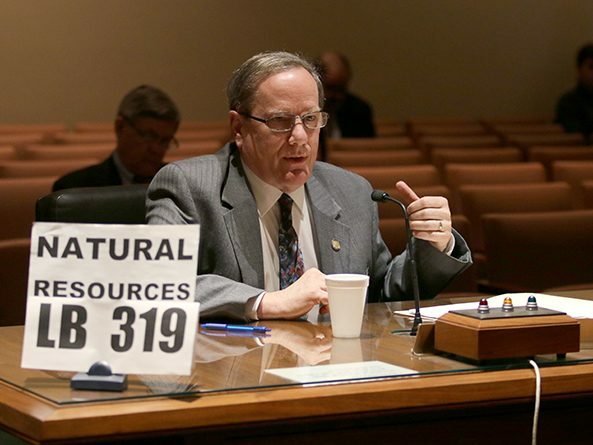 Director of Natural Resources Jeff Fassett, who testified in support of the bill, said state law authorizing the fund allows for a broader range of uses than the department’s current rules allow. LB319 would allow the department to repeal those rules and use the money on current programs to manage water use in fully and overappropriated areas, he said. 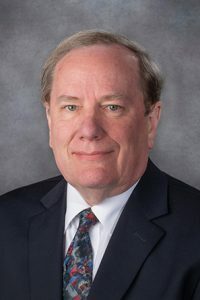 Fassett said the second change would eliminate a conflict in state law created in 2000 by the merger of the Nebraska Natural Resources Commission and the state Department of Water Resources. One section of state statute grants the department jurisdiction over matters pertaining to water rights for irrigation, power or other useful purposes except as limited by law. LB319 would make the department’s adoption and promulgation of rules and regulations governing those matters optional rather than mandatory. Fassett said the change would make that section of statute consistent with another that provides the department with “permissive rulemaking” authority. No one testified in opposition to LB319 and the committee took no immediate action on it.